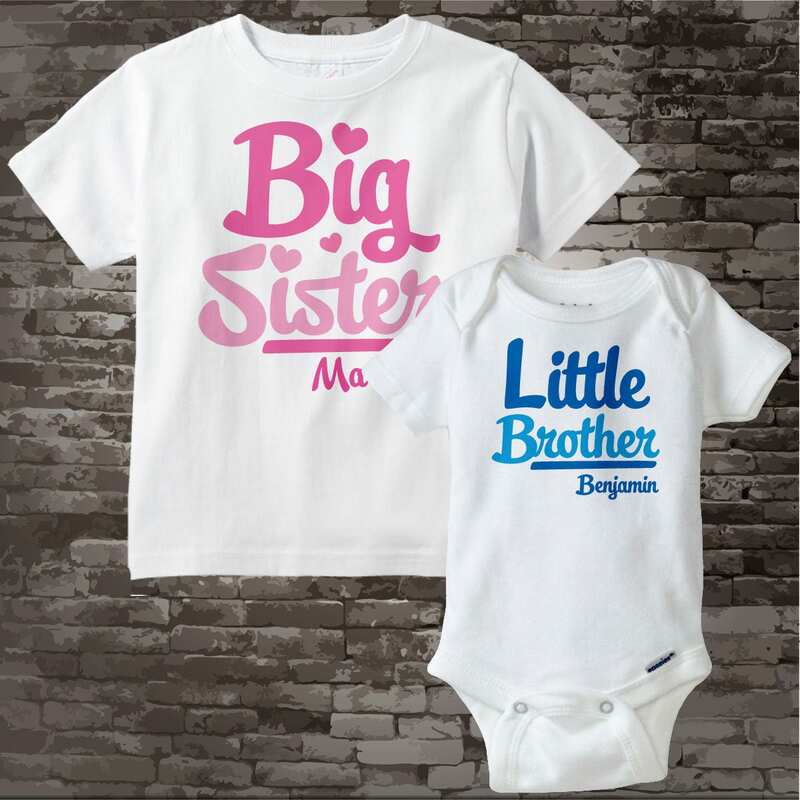 Cute Big Sister and Little Brother Shirt Set. 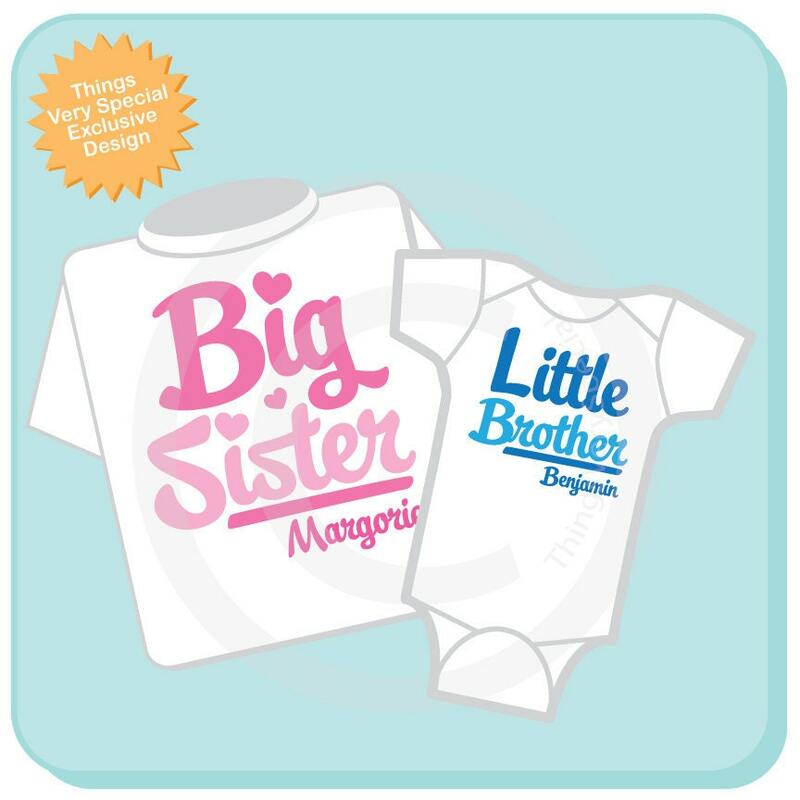 Super cute Personalized Big Sister tee shirt and Little Brother shirt or Onesie. This awesome script comes in Pink and Blue as shown. 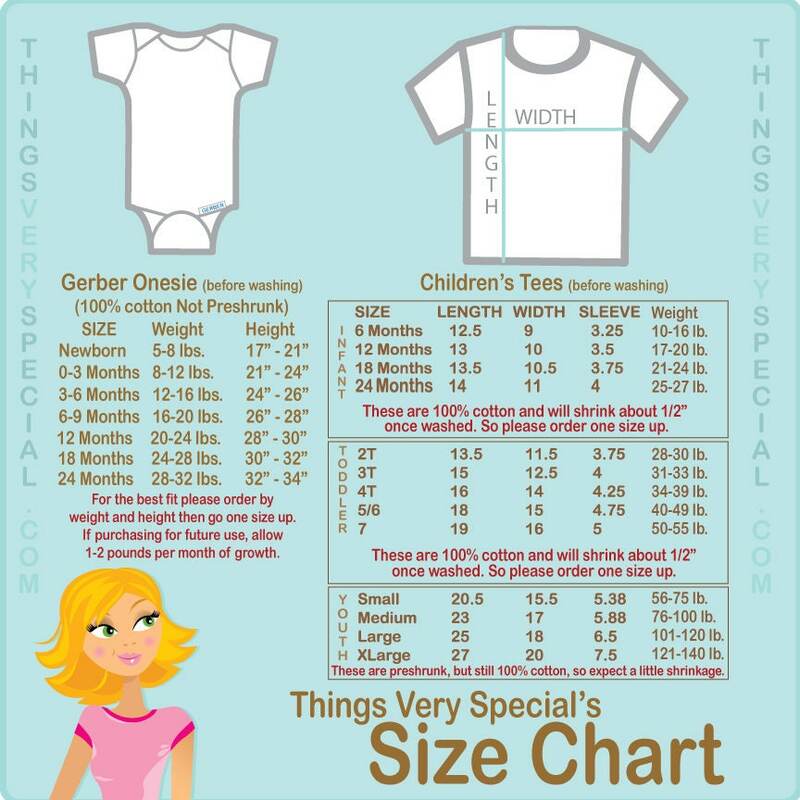 These will be amazing for my daughter and her new baby brother! You want to take the advice about these items running small - THEY DO. So glad I ordered them larger than I thought I needed, they'll be just the right size.